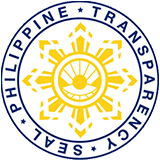 “The mobile outreach services form part of the provincial government effort to bring services closer to the people.” Northern Samar Public Employment Service Office (NSPESO) Manager Maurice de Guia told the Philippine Information Agency. He said the annual activity is headed by PRC 8 Chief Professional Regulation Officer Alma Genotiva. De Guia informed that a total of 2,086 applicants were successfully processed both for Board Licensure Exam for Professional Teachers (BLEPT) and Registered Mechanical Engineer (RME). To make the processing easier and faster, applicants with complete documents such as print out of on-line application, proof of payment through GCash, original Transcript of Records, passport size pictures in white background with nametag, documentary stamp, original and photocopy of birth certificate, and marriage certificate (for married women) were allowed on a first come first served basis.